Dreaming of owning a Max Hazan motorcycle? Put simply, unless you win the Lotto, it’s never going to happen. Now prepare to meet a man who owns five of the things. Yes, you read that right. Welcome to the new Haas Moto Museum & Sculpture Gallery. ‘Maxwell Hazan’ is a name that needs no introduction. 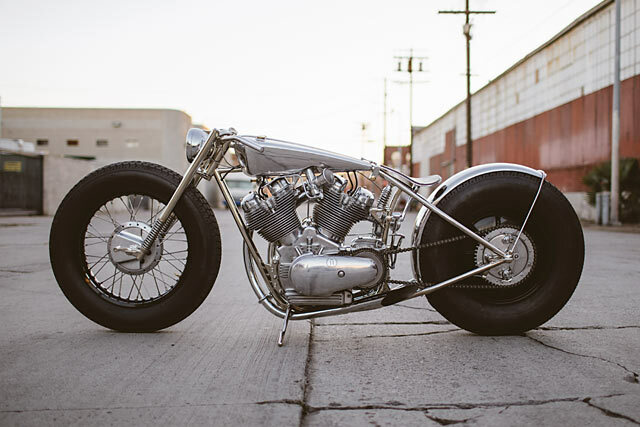 As s two-time winner of Pipeburn’s Bike Of The Year award, he’s one of the few builders globally that could lay claim to the title of ‘world’s best’. 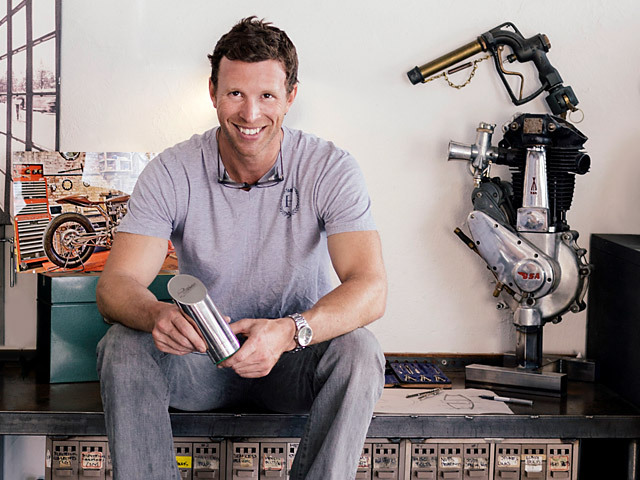 So what does a guy with so much raw talent, fabrication ability and vision do next? Whatever he damn well pleases – that’s what. And what Max pleases in 2015 is to take two Royal Enfield 500cc engines, enlist the help of a certain Mr Aniket Vardhan to magic them into a single 1000cc V-twin, and then construct a bike around it that just might be the best-looking custom bike we’ve ever seen. Excited? We sure as hell are. 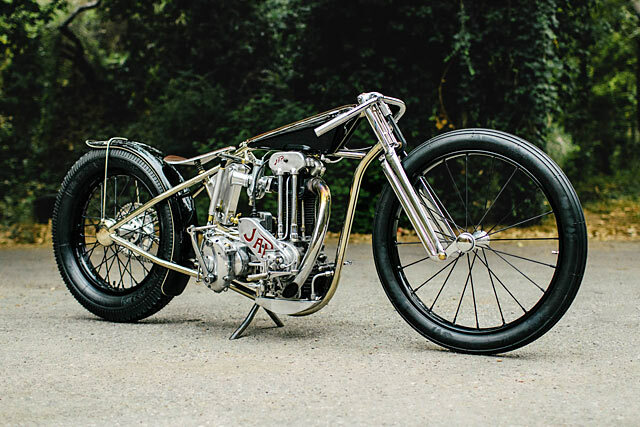 Here’s Hazan Motorwork’s latest, ‘The Musket’ Royal Enfield V-twin. “Art” is a word thrown around in the presence of many a creative human endeavour. Which is all good and well if your area of interest is music, painting and the like. And that’s because those particular means of expression require you to start with nothing before you have something. 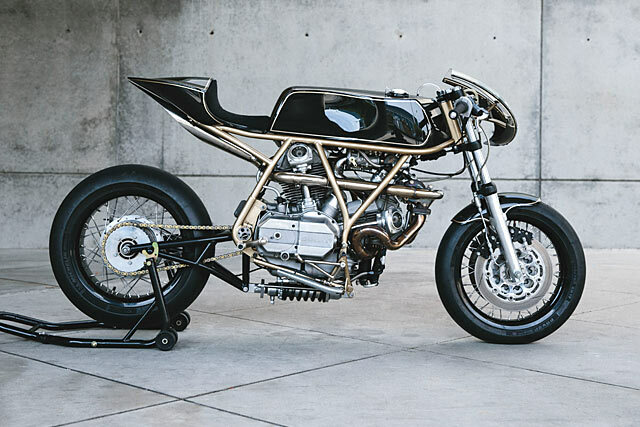 But when it comes to custom motorcycles, this is all flipped on its head. Why, you ask? It’s because 99% of all custom bike builds start with a factory-finished product that is subtracted from and tweaked until what’s left is deemed “finished.” But not this bike. This bike has been hewn from raw materials the way an alchemist might create precious metals from base elements. 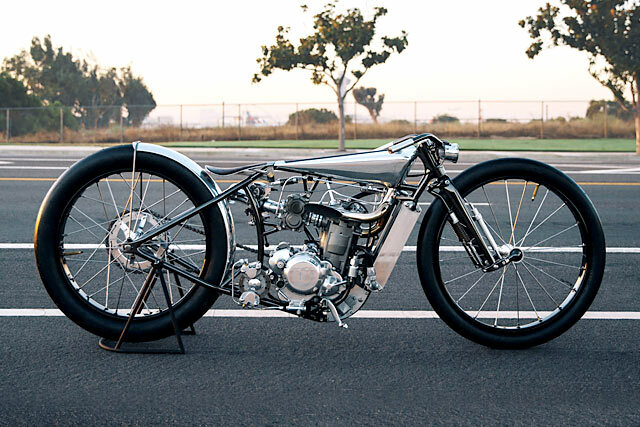 This is the latest bike from Los Angeles’ Hazan Motorworks. This is art. Maxwell Hazan. If there’s one shining star on the custom bike scene that’s currently at their apex, it’s him. 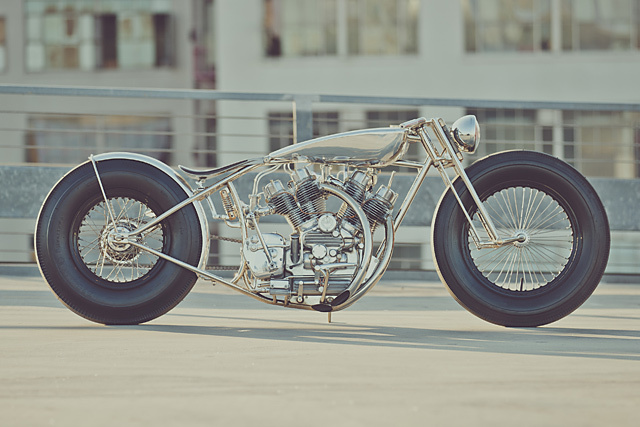 Winner of the Pipeburn 2013 Bike of the Year Award. Ex-New Yorker and nouveau Californian. And, as Scott discovered on his recent sojourn to the Bear State, an incredibly nice guy to boot. We were lucky enough to be able to speak to Max via Skype recently and we are proud to present this extended interview with him. We hope you like it. 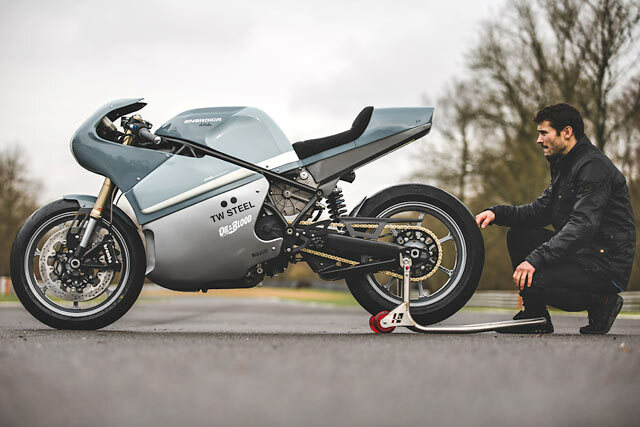 One of our favourite bikes we have featured this year was the elegant Royal Enfield Bullet 500 built by the very talented Max Hazan from Hazan Motorworks. The bike was pure class and had a level of craftsmanship we rarely see. This film gives us a look into Max’s world and his passion for building these bespoke motorcycles from his Brooklyn based workshop. You can tell he loves what he does and is the first to admit he is one hell of a lucky guy to be making a career from it. A lot of people dream of chucking in that desk job, Max is actually living that dream. 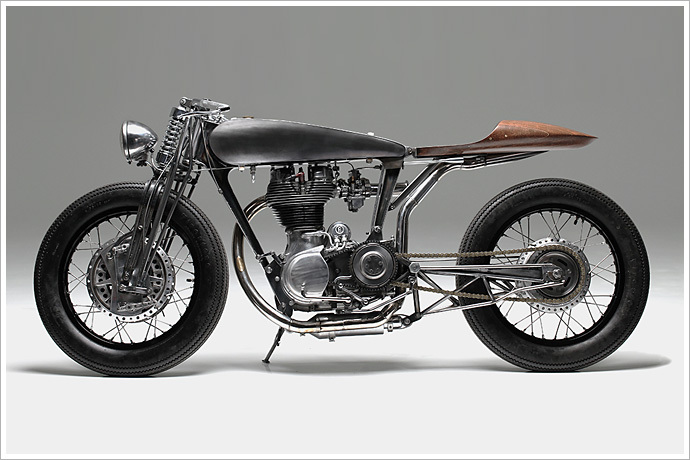 Craftsmanship is a word that gets thrown around a lot in relation to custom bikes. And fair enough, really. Unless you can create something purely by removing parts from a factory bike, you’ll probably get to the point where you have to fashion, fold, or file something sooner or later. But as any of us who have actually worked with metal in anger will know, there’s a world of difference between one man’s ‘that’ll do’ an another’s. 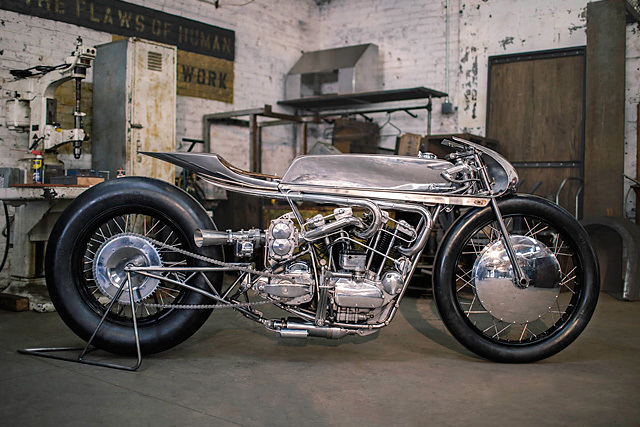 Meet Max Hazan and the latest build out of his Hazan Motorworks shop in Brooklyn, New York. It’s pretty obvious to us that Max’s ‘that’ll do’ is, well… let’s just say that Max doesn’t do ‘that’ll do’. Not at all.